Listen to new and classic vinyl with the JENSEN® JTA-325 3-Speed Stereo Turntable with Stereo Speakers! 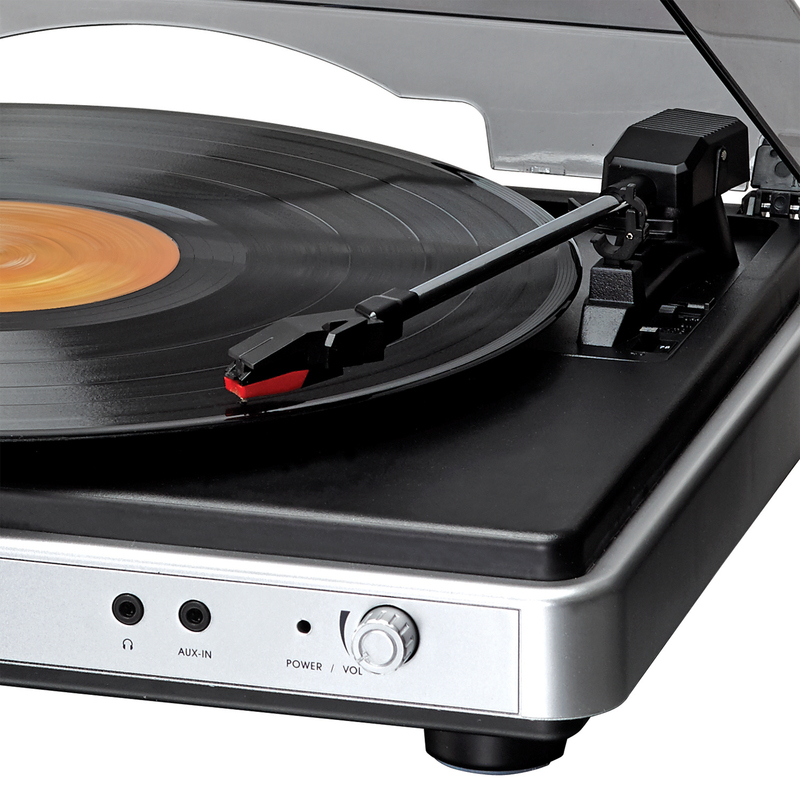 This turntable offers several features you won't find anywhere else for this value. 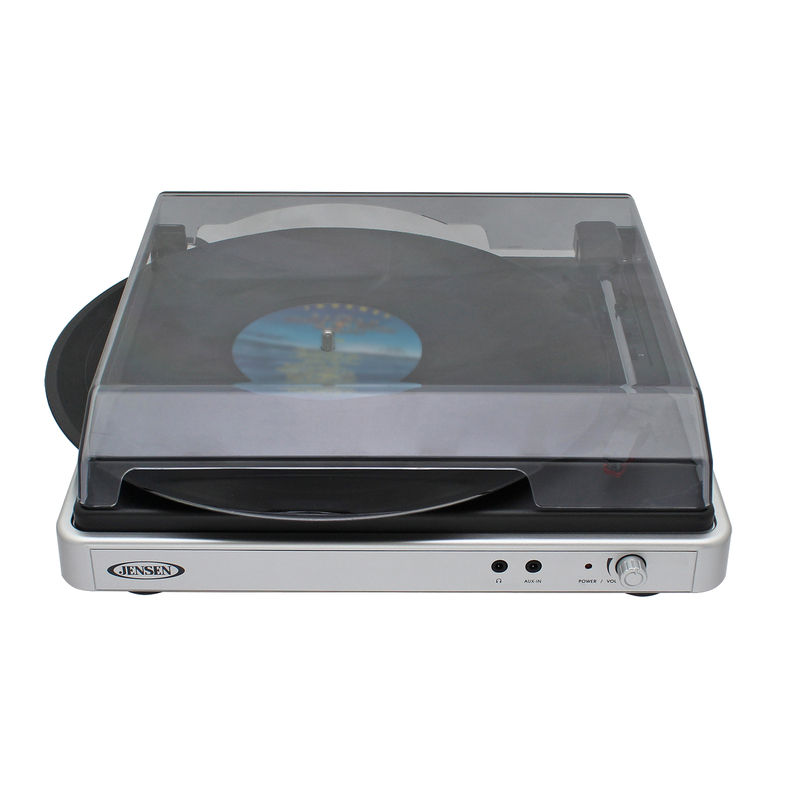 Connect the unit to your computer (cable included) and convert your vinyl records to digital MP3 format with the included software. Adjust pitch control and record speed with the adjustable belt drive to 33/45/78 RPM with easy-to-use controls. 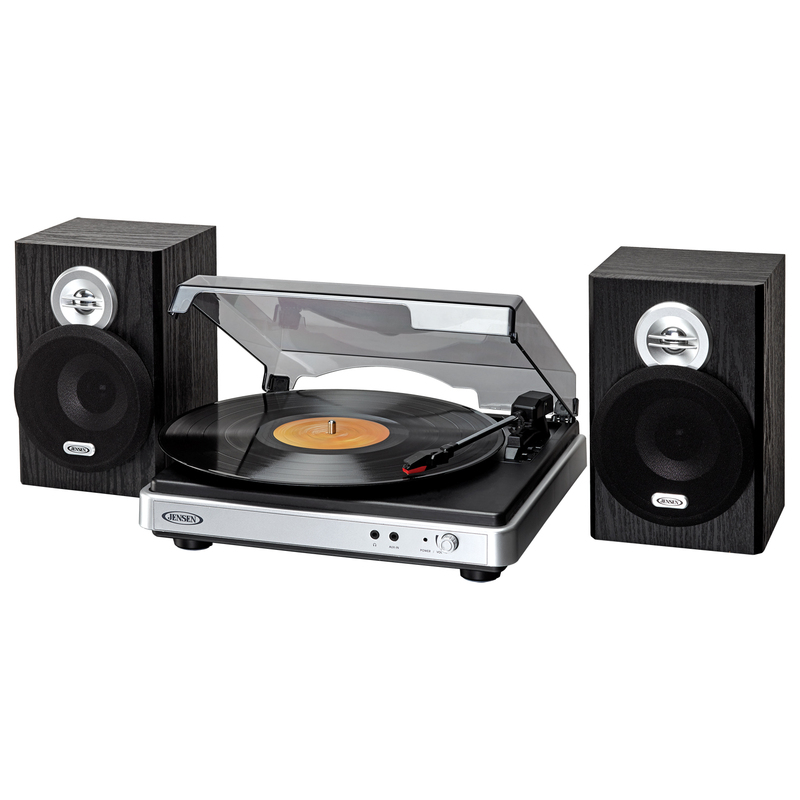 Listen to your nostalgic vinyl records with optimal sound by adjusting volume to the two (2) included speakers or plug in your headset to the stereo headphone jack for private listening. 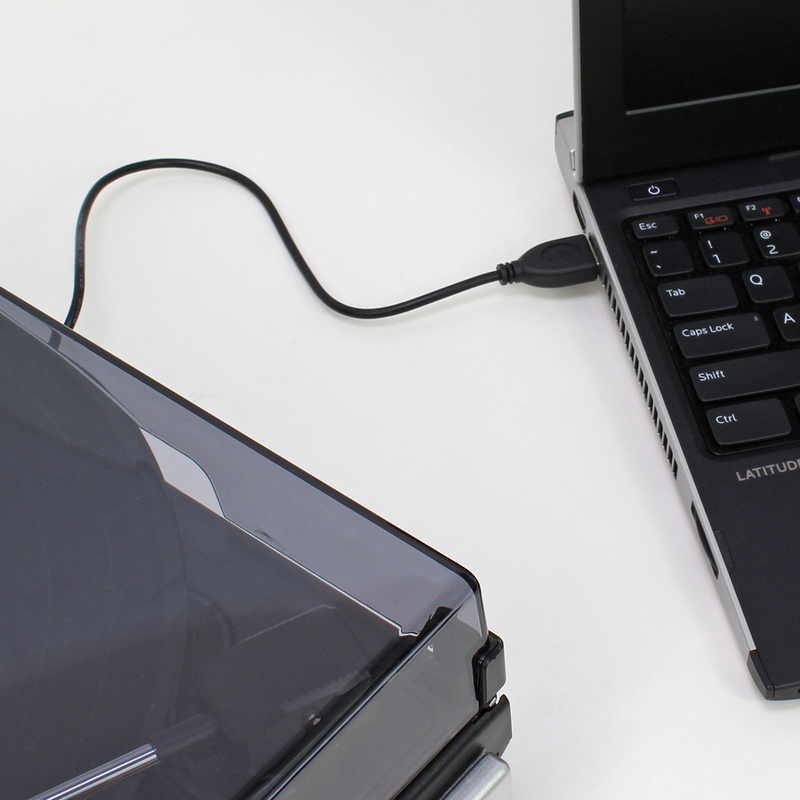 The JTA-325 also comes equipped with an auxiliary input jack to connect your iPod®, MP3, or other digital media player. Other included features like the dust cover, metal tone arm, and auto stop switch demonstrate that no punches were pulled with this turntable.